Spring is just around the corner, which ultimately means one thing: it's time to give your dreary winter wardrobe the long-awaited springtime renewal it deserves. From clashing colors, sequins and statement jewels (and not a flower in site), our top five tips are sure to revive classic combos of denim, white T-shirts, black jackets and boots. Read ahead on how to blossom into the new season. If you’re not quite ready to go full-swing spring just yet, consider jazzing up your neutral outfit with some look-at-me jewelry. From the architectural to the cosmic, this season’s jewels are weighty, bold and nothing less than a statement - perfect for lazy dressers who love nothing more than wearing a white T-shirt, vintage jeans and a red lip for a fancy event. Follow the chandelier earring trend with Burberry or opt for multiple chunky bracelets to enhance your look. We'd forgive you for thinking that red ankle boots or a lemon-yellow clutch are a little tacky and totally impractical, but it turns out that 'go bold or go home' is the theme of the season. Not for the faint of heart (or to be avoided either), eye-catching accessories are the easiest way to put a pep in your step when the sun is hiding. Choose from Marni's pink Pannier bag or embroidered sneakers for a look that is sure to heads. Take notes from nature this season and incorporate delicate hues into your wardrobe. From pistachio to rose, lemon and lavender, pastel shades have been rescued from would-be mother-of-the-bride connotations to become SS18’s coolest shades. Take cues from Victoria Beckham’s latest collection by sweetening your outfit with powder-blue - or will bubblegum-pink or soft lilac be your preferred choice? It’s time to ditch your long black coat (who's digging the Professor Snape vibes anyway?) and swap it for a bright yellow jacket, or striking red blazer. Adding a splash of color to your outerwear is essential when diving into spring. Be confident and let your outfit do the talking for you. Who said sequins were just for the evening? Add a drop of shimmer to your blue jeans and sweats (remember Ashish's skater-chic?) by getting out the sequins. Follow Tom Ford and Dior's direction by bringing the sparkle back in new and unexpected ways - it's time to forget the mini and instead choose low-key pieces with intricate details for a dressed-down, everyday take on the trend. 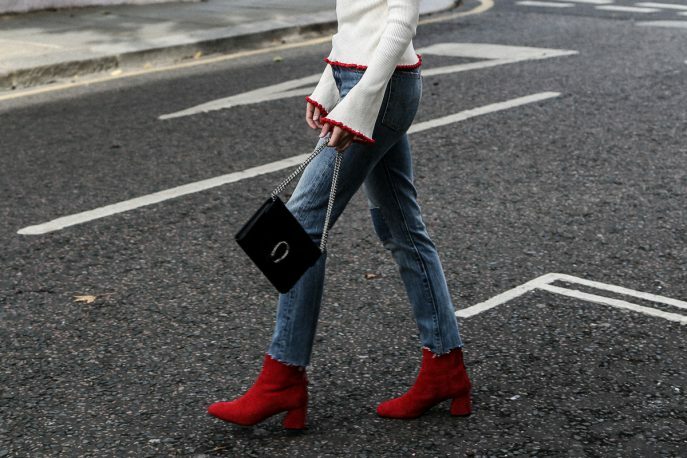 Whether it's a sequin hairslide courtesy of Ashley Williams, a pastel pop-over hoodie, or postbox-red boots, we're welcoming the return of spring with open arms.